Explore the Old Town of Hoi An while the sun goes down and sample enough food for dinner. You’ll venture into a maze of bustling markets and alleyways on this 2.5-hour walking tour. Discover hidden, local food spots while a knowledgeable guide informs you about the city’s unique food culture. Taste unforgettable dishes at every turn, from market stalls, restaurants and local cafés. Numbers are limited to 12 people, ensuring a personalized experience with a small group of fellow food lovers. 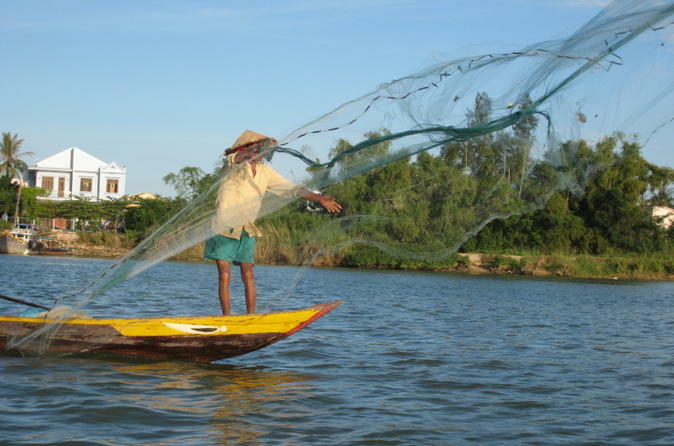 Experience life on the waterways in Hoi An with a half-day fishing tour on the Cua Dai River! Cruise with an expert captain and crew aboard an eco-tour boat to a local fishing village. 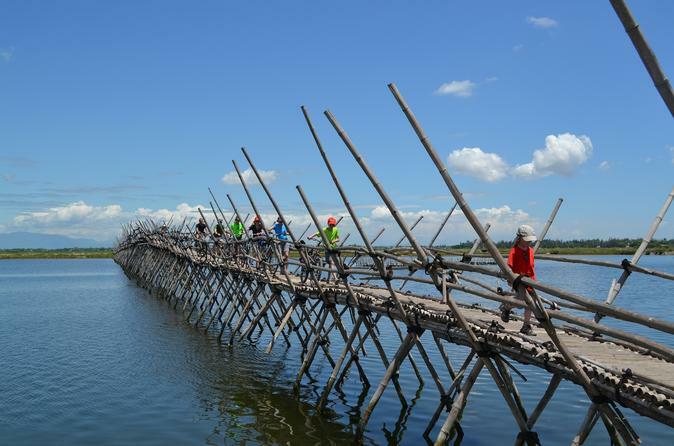 Join local fishermen and their families to learn about daily customs in this region of Vietnam, where you’ll paddle a Vietnamese basket boat and gain hands-on experience fishing the traditional way – among the mangroves and coconut palms. Lunch, drinks and round-trip transport by comfortable coach are included. Spend a day leisurely cycling though the scenic countryside of Vietnam, far from the traffic the motor scooters, and the noises the city. You will cross the islands on the Song Thu river delta using local transportation, including ferries and floating bridge. 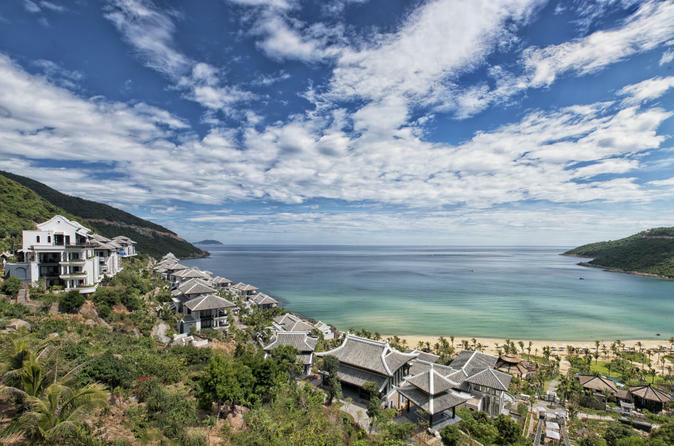 Explore the highlights of Da Nang on this day trip from Hoi An. A professional guide takes you to the Marble Mountains, where you can climb the stone steps to the summit for views of pagodas and limestone caves. See stone sculptors at work in a nearby village before perusing cultural artifacts at the Museum of Cham Sculpture. Finish your full-day tour with a beach stroll on the Son Tra Peninsula, located across the Thuan Phuoc Bridge. Numbers are limited to eight people, ensuring a personalized experience with a small group. 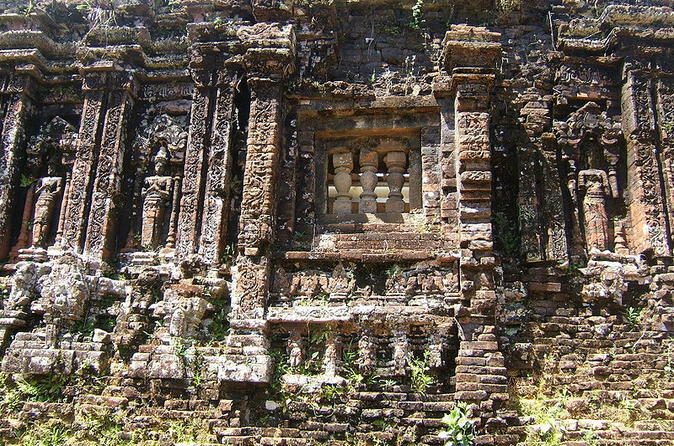 My Son is regarded as one of the oldest Hindu temple complexes in Southeast Asia and is a unique place in Vietnam. My Son represents the longest period of development of any monuments for religious purposes in Southeast Asia. Construction of the Temples & Towers is thought to have started during the 4th century and continued until some time in the 15th century. 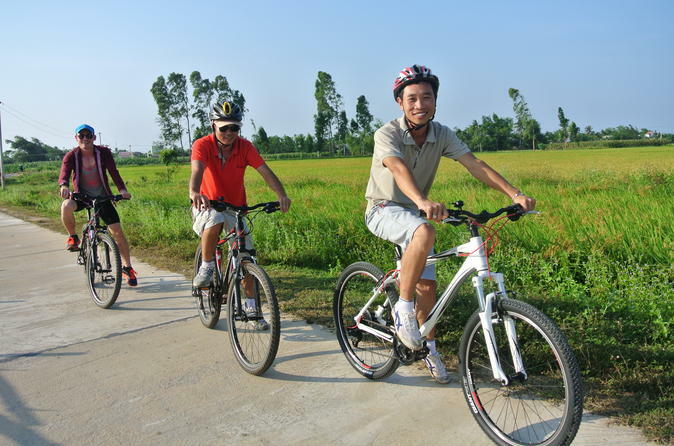 This real Vietnam Bike Tour is a perfect combination of cycling and discovery of the Vietnamese culture and way of life. It is a unique opportunity to escape the usual tour group itineraries and to discover the real Vietnam of the past and as you have always imagined it. 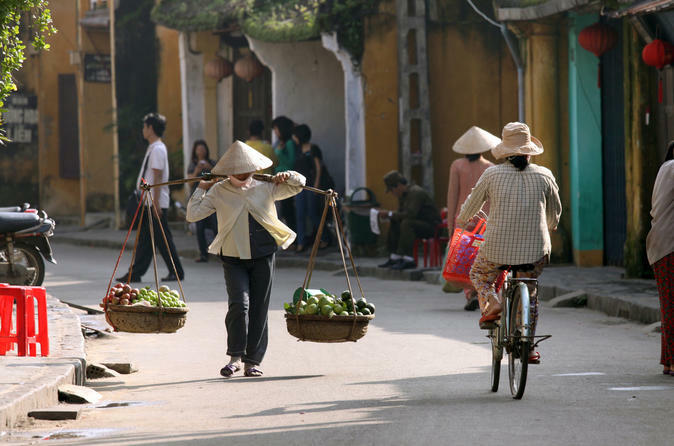 Explore the culinary landscape of Hoi An by bicycle on this 4-hour morning or afternoon tour. Ride through the countryside to a local village and stop to enjoy a bowl of ‘cao lau’ noodles, a traditional Hoi An specialty. You’ll have the opportunity to make delicious white rose cakes at the home of a local family. Afterward, pedal to nearby Cam Nam for a taste of traditional foods such as rice crepes and a sweet pudding dessert. The various dishes are enough to make a lunch or dinner. Numbers are limited to eight people, ensuring a personalized experience with a small group of fellow food lovers. 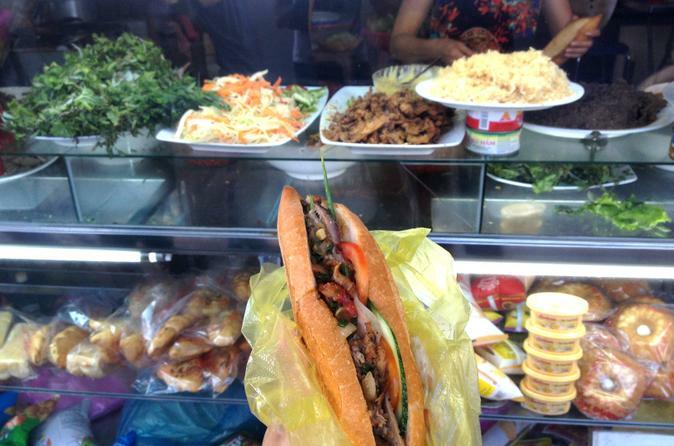 Hoi An food tour by motorbike focuses on street food which you would not find if you just walked around by yourself. 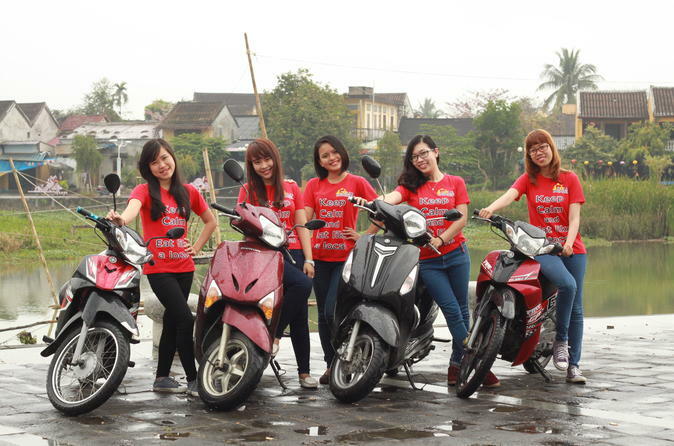 You will discover some special and hidden Hoi An streets while sitting and enjoying the view from the back of our tour guides motorbikes. 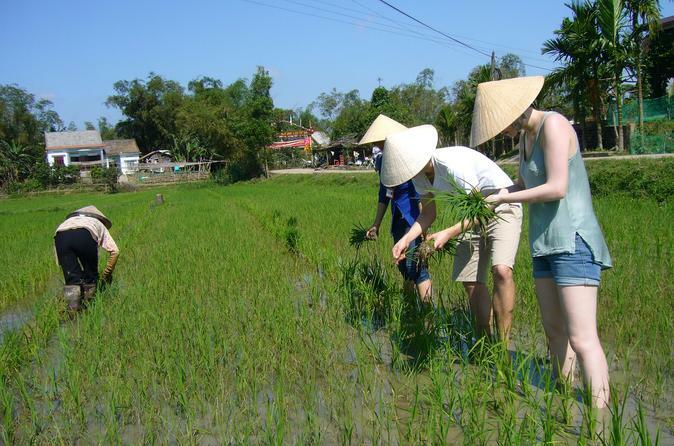 The enthusiastic and friendly tour guides will show you the best places to eat Hoi An style food as well as to offer insights about the making of these special dishes and talk about local Vietnamese culture and traditions. Cham Island, located off the coast from Hoi An, is a beautiful and fun-filled getaway — the perfect day trip. Known locally as Cu Lao Cham Marine Park, this protected offshore area in the South China Sea actually consists of eight small islands, recognized as a Biosphere Reserve by UNESCO. 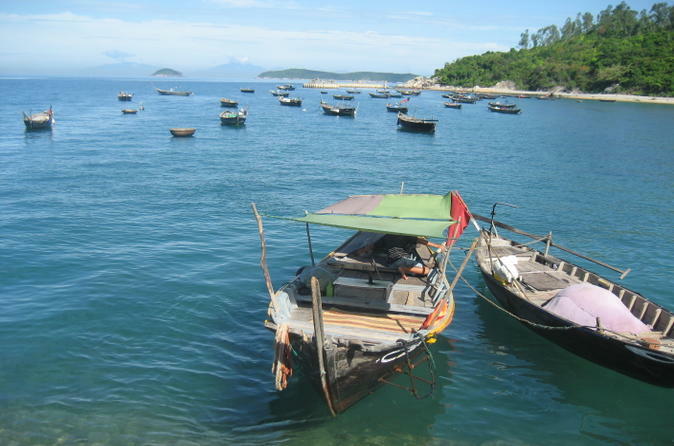 Ride a speedboat to Cham Island, spend time enjoying its beaches and temples and have lunch at a restaurant. Numbers are limited to 10 people, ensuring a personalized experience with a small group. Are you an adrenaline junkie? Like to dangle over the edge of sheer cliff faces? If so, this adventure is for you! 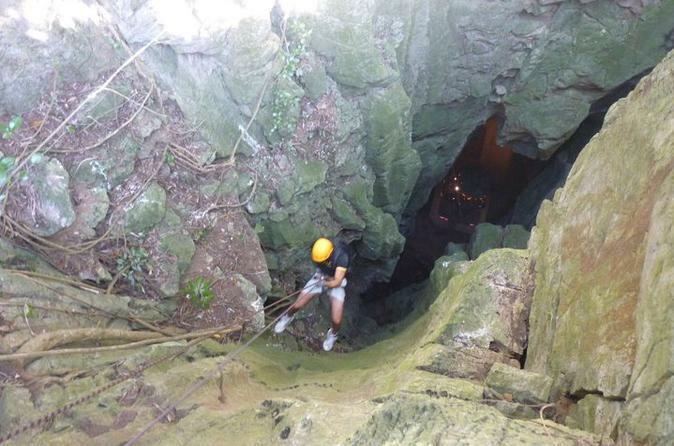 Professionally trained guides will show you ropes and prepare you for some of the exciting cliff and cave rappels at Marble Mountain. No previous experience necessary for this action-packed day of rappelling! 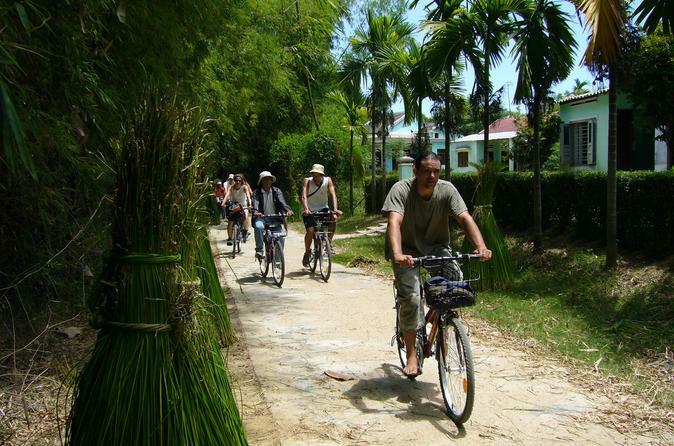 The Cam Kim Island Discovery Cycle Tour gives you the opportunity to learn more about the beautiful landscape of the rural areas of Vietnam and daily local lives which is hard to experience in the city. It is a reasonably easy ride along quiet flat roads for 15kms. This is a beautiful Island and a great way to understand more of the area. Spend a day leisurely cycling though the scenic countryside of Vietnam, far from the traffic the motor scooters, and the noises of the city. You will cross the islands on the Song Thu river delta using local transportation, including ferries and a floating bridge. Get ready for a day filled with history, culture and architectural delights! Start the tour at My Son Sanctuary, the capital of the Champa Kingdom from the 4th to the 13th century. 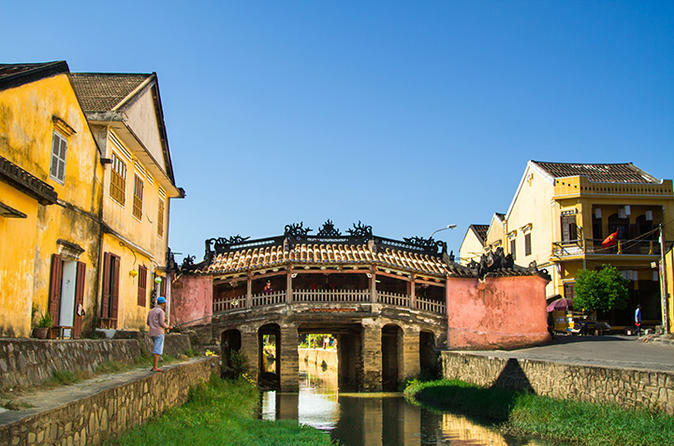 Afterwards, explore the delightful Hoi An and its perfectly preserved ancient town dating back to the 15th century.